Waipahu Waikele Pet Hospital is a pet clinic in Waipahu, HI that provides veterinary and pet services. October 10th is National Pet Obesity Awareness Day. This is a critical pet health epidemic today, where approximately 56% of dogs and 60% of cats are classified as clinically overweight. Many don’t see the gravity of this problem, but in reality, obesity can severely restrict pets and deal considerable damage to their health. The following guide details all the information you need to know about obesity in pets. How Can You Tell if Your Pet Is Obese? Some pet owners aren’t even aware that their cat or dog is overweight. There are a few ways to check; the first of which involves a simple examination. Cats and dogs both have visible waists when observed from above, but if their belly seems to go out instead of in, they’re overweight. With particularly furry pets like Persian cats and Samoyed dogs, however, visual indicators aren’t as obvious. A more thorough check involves placing your hands on either side of their chest. You should be able to feel their rib cage through a thin layer of fat. If you have to press down to feel it at all, your pet is likely too heavy. You can also check your pet’s spine, shoulders, and hips. Obesity poses many dangers to pet health, including early-onset arthritis, diabetes, and certain types of cancer. Particularly big cats may have trouble grooming themselves and fitting into the litter box, which can lead to hygiene issues and accidents. Excess fat can also lead to skin disorders, kidney dysfunction, respiratory disorders, orthopedic disease, and an overall decreased life expectancy. How Can I Prevent or Reverse Pet Obesity? The best way to prevent obesity in your pet is by staying connected with your veterinarian. 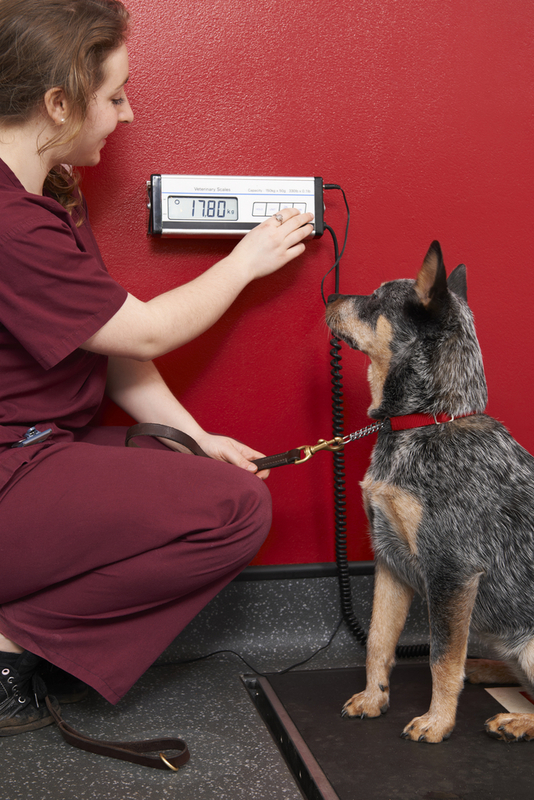 Animals are weighed and examined during every physical exam, so if your vet notices anything out of the ordinary, they’ll notify you of the next steps you should take. As a pet health expert, your vet can assist you in bringing your pet’s weight down. They will give you a comprehensive diet and exercise plan to get them back to a healthy size. Depending on your pet’s lifestyle, this may include changes in how often you feed them, what they’re eating, and how frequently they exercise. Weight loss will be a gradual process, but it’s a crucial step in improving pet health. The veterinarians at Waipahu Waikele Pet Hospital are well-versed in the dangers of pet obesity. Based on Oahu, these vets take pet health seriously. With knowledge of their breed, lifestyle, diet, and recent changes, your vet will give you professional recommendations on food brands, feeding schedules, and daily exercise. They’ll help your pet get back on track to a long, healthy life. Leave them a message online or call (808) 671-7387 to learn more. Their office is also open for after-hour emergencies.